Most people don’t realise this but Amtico recommend their floors are protected against scuffs and scratches with a sealer or floor care dressing as they call it and like any product you apply to a floor it will wear off over time due to the constant abrasion of floor traffic. This is very similar to the problem we face with tile and stone most of which also benefit from the protection of a sealer. With this in mind I was asked to visit a Hair Salon in Wimbledon which as well as being famous for its annual Tennis tournament is a large town to the southwest of London. 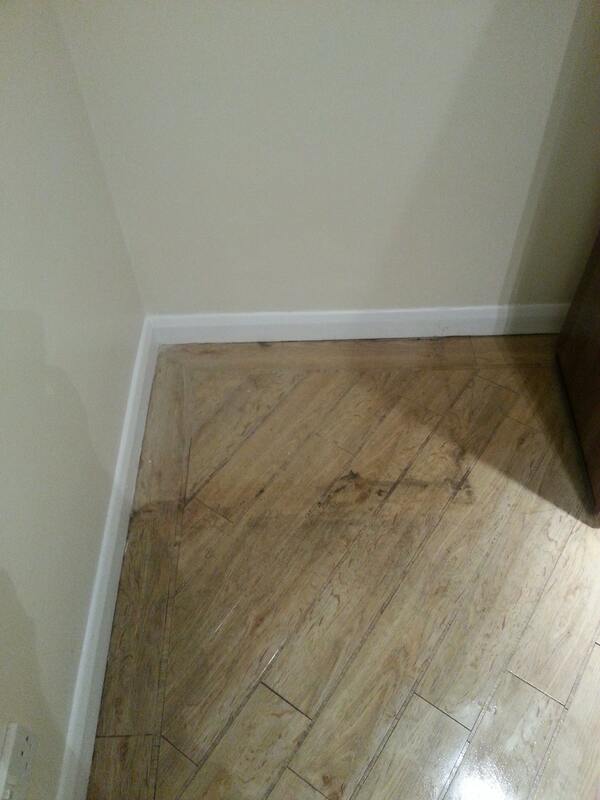 Their Amtico flooring had lost a lot of its appearance and a recent redesign had exposed a few obvious areas where equipment was once positioned. It was clear that the whole floor would need to be stripped of what was left of its protective coating and resealed. It was necessary to strip the floor of its old coating first as to apply a fresh sealer would simply have locked in the dirt and led to different layers of sealer on the floor which can leave some areas looking darker than others. To strip off the old coating and clean the we used Tile Doctor Vinyl Strip mixed with hot water. This was left to sit on the floor for a short while before being scrubbed in with a scrubbing pad fitted to a rotary floor buffer and then the soil was removed using a wet and dry vacuum. It’s worth noting that to scrub this floor we used a finer scrubbing pad than normal because using a black stripping pad would have scratched the Vinyl. 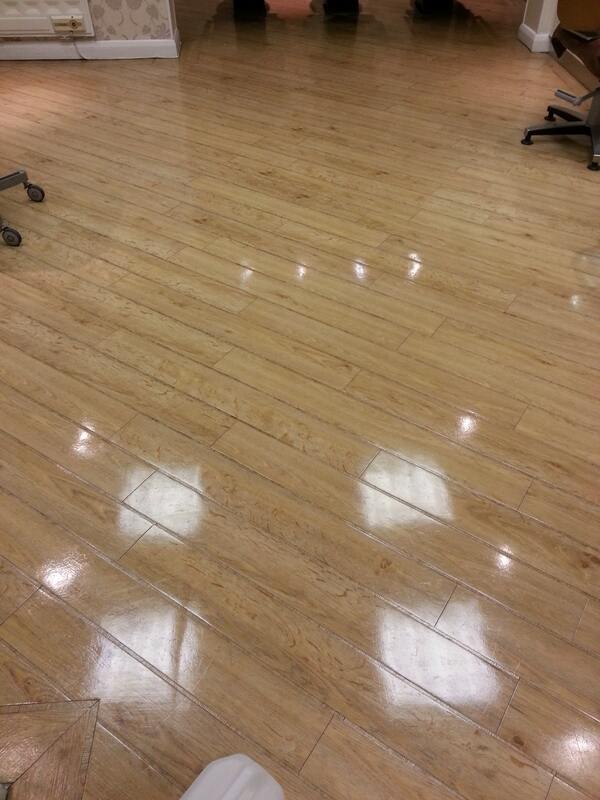 We then rinsed the floor twice with water to remove any residue and extracted the water with a wet vacuum. Normally we these jobs we would look to let the floor dry off overnight and come back the next day to seal the floor, however given the commercial nature of the business this was not a practical option so the Amtico floor was force dried using industrial air movers. Once the floor was dry we were able to press on with the application of the sealer which for Amtico and other Vinyl flooring we recommend Tile Doctor Vinyl Shine floor polish which leaves a nice subtle shine. You have to wait for a coat to dry (approx. 30 minutes) before applying the next, so this process can take a while to complete, in this case three coats were applied to achieve the desired finish. 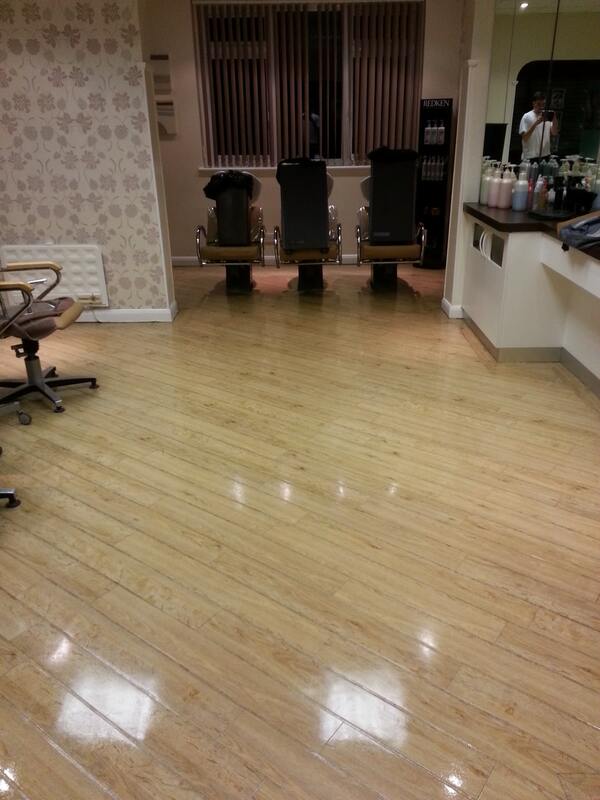 We managed to strip and seal the whole floor in a day, so the owner was able to open for business on the Monday.